Do you have a bike, but aren’t sure how often, how how much you should pump up your tyres? The answer to this really depends on what kind of bike/tyre you have. A good rule of thumb (that I just made up), is that the skinnier the tyre, the more often you need to pump it up. How did I make this up? Well, tyres generally lose pressure as air naturally seeps out of them. So, the higher the pressure and lower the volume, (eg a super skinny road bike tyre), the more noticeable it will be that air has leaked from the tyres. 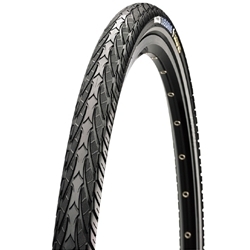 So, super skinny road bike tyres? I’d pump up at least once a week, if I was riding a decent distance every day, I’d probably check and pump them every couple of days. Fatter tyres? Eg these from a commuter bike? As you don’t pump these to as high a pressure, you can leave these longer – every 1-2 weeks should be okay. Fat tyres? 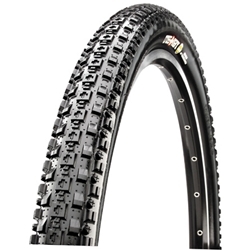 Eg mountain bike tyres? Generally you don’t inflate these all that much, so every few weeks should be ok. So why should I bother? Having your tyres inflated properly is very important. The biggest reason people get flat tyres (apart from someone slashing your tyre) is tyres that aren’t pumped up enough. 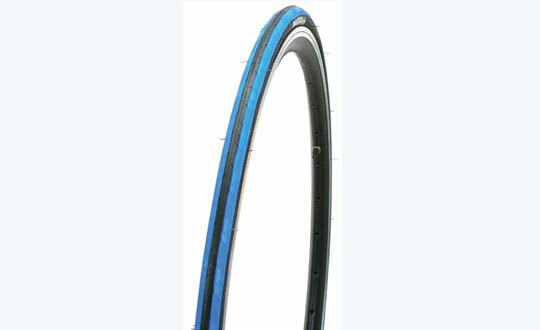 If you don’t have enough air in your inner tube, and you roll over a bump, the inner tube gets pinched between the tyre and the rim of the wheel of your bike and causes a hole in the inner tube. All the air leaks out, and voila – a flat tyre (called a pinch flat). On top of that, properly inflated tyres protect the rim of your wheels from damage and also make your pedalling more efficient (you go further, for less effort – a good thing in my books). So, although it’s a bit of a pain in the neck to pump up your tyres, remember to do it! This entry was posted in Bike Tasks and tagged Commuting, Mountain Biking, Roadie, Tips by On two wheels. Bookmark the permalink. Pingback: Three Little Sparrows – Twentysomething: So You Want to Ride Your Bike in the City?